As you see above, there are four SHA256 hash values (in the middle of page and in base64 format) for www.google.com. 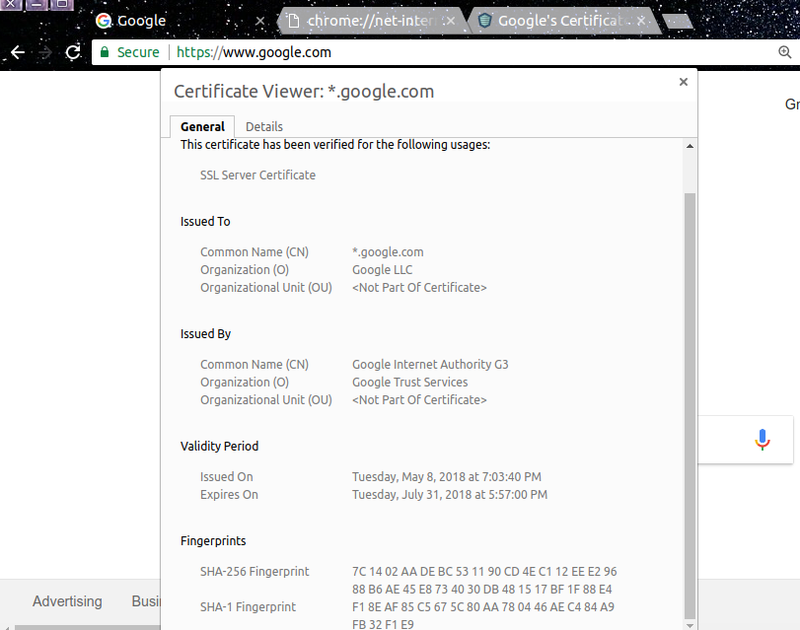 The question is that: why I can't see none of these values in the current loaded Google's certificate in the other tab? The four hash values you see are SPKI hashes. While the fingerprint you see when looking at the certificate is computed over the whole certificate the SPKI hash is only computed over the SubjectPublicKeyInfo, i.e. the public key contained in the certificate. See Mozilla:HPKP for more details including ways to compute the SPKI hash using common tools. As you can see, the last SPKI hash from the builtin root CA intersects with the preloaded SPKI hashes which means that the validation was successful. The last item GlobalSignRootCA_R2 is the one found in the current chain. Not the answer you're looking for? Browse other questions tagged certificates chrome hsts fingerprint or ask your own question. 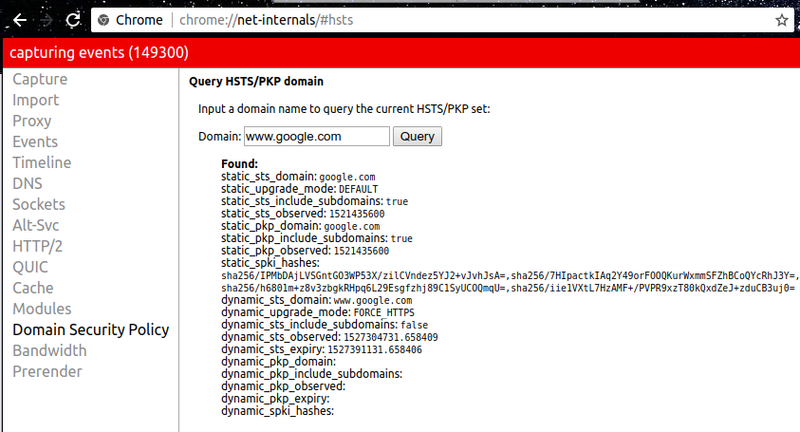 How to see when a HSTS domain is about to expire? What does “This request does not comply with Chrome's Certificate Transparency policy.” in Chrome's Security Tab mean?